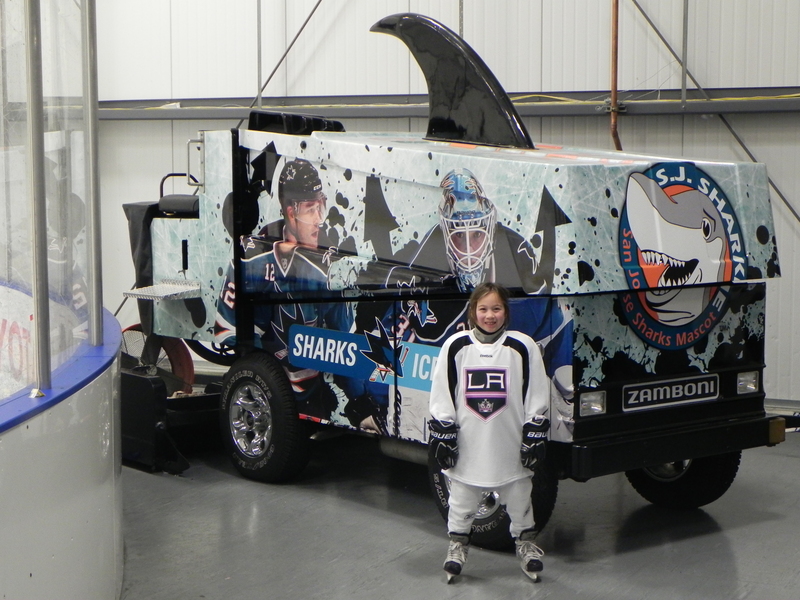 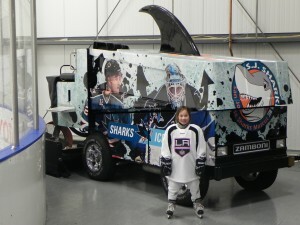 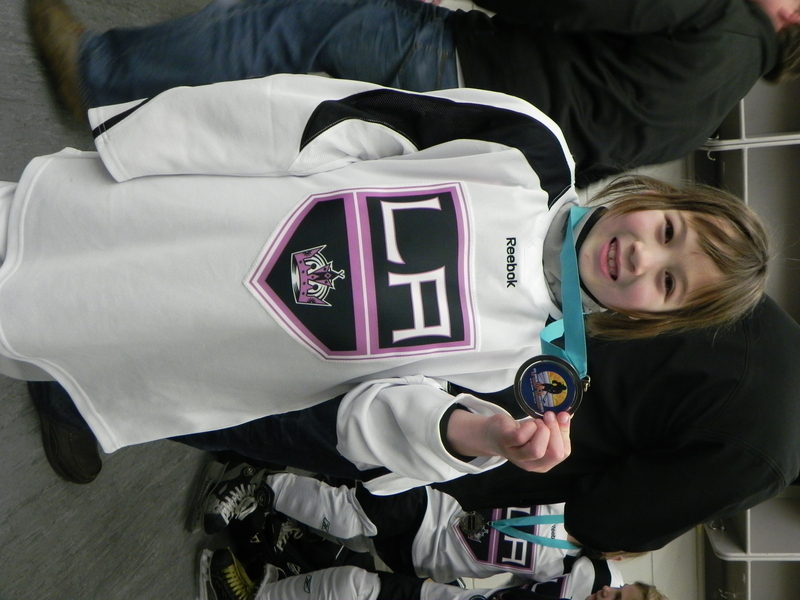 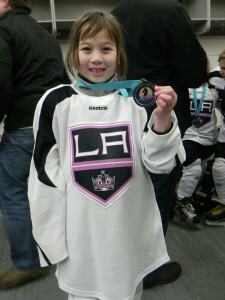 Belle’s first hockey tournament in San Jose. 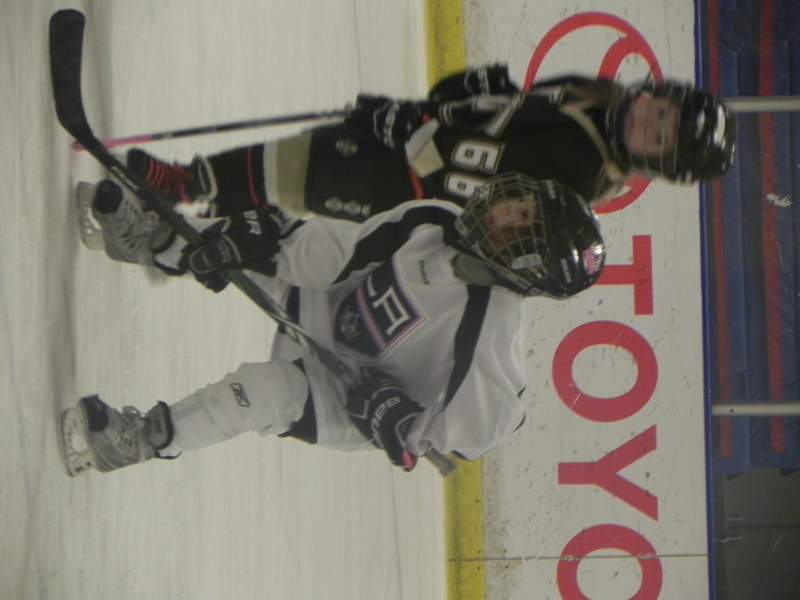 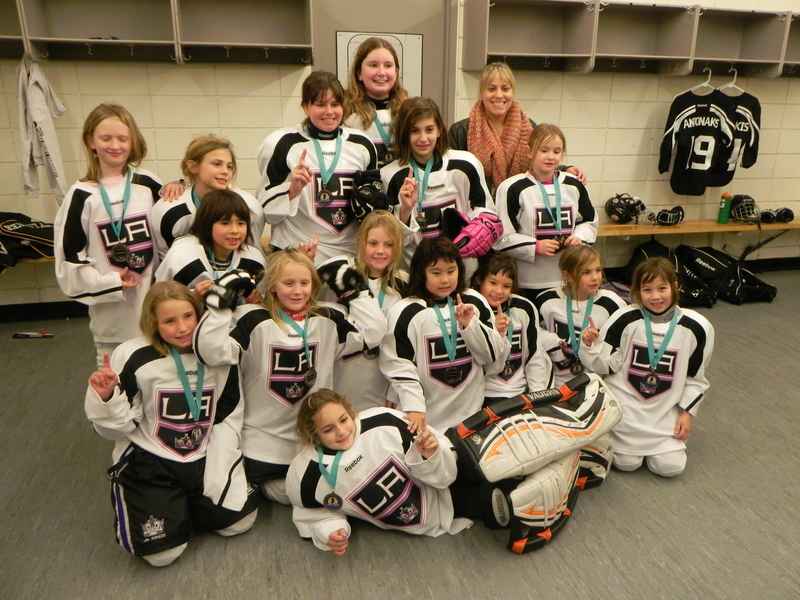 Very first appearance of the Jr. Kings 8U Girls team. 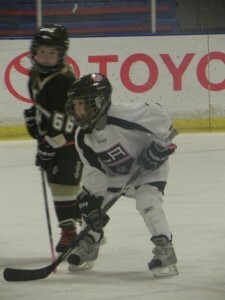 The team did great winning all 3 games against the Jr. 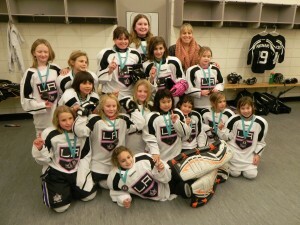 Sharks 8U (2-1), Lady Ducks (5-1) and Lady Reign (11-0).